My Rosa ‘The fairy’ was still flowering when the snow hit last year. This shrub rose is renowned for it’s long flowering period. Cold nights mean that many types will slow down, but others seem to enjoy autumnal conditions. Make the most of these plants and keep them flowering for as long as possible by continuing to remove spent flowers. Try not to cut back to bare stems, look for buds that have already thrown new foliage and cut stems back to these points. 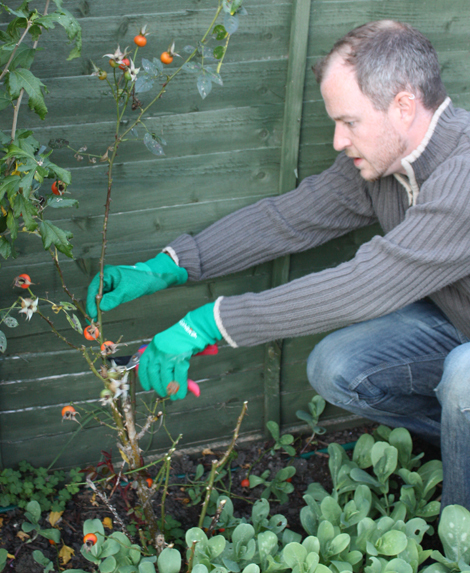 Note: I’m using thorn resistant gloves from Town & Country, available in most good garden centres. For rose cultivars that have reached the end of their flowering window in milder parts of the country, it is a good idea to get full pruning done and out of the way. 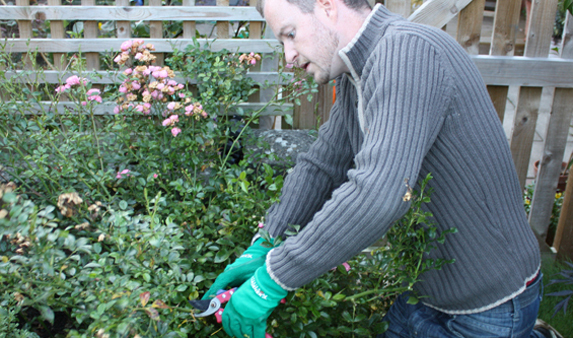 Use secateurs to remove weaker stems totally, and cut stronger stems down to around five buds. For those in colder parts of the country it may be safer to leave this job until spring, after the harshest frosts have finished. But do cut any long stems back by 50 per cent to reduce the risk of wind rock damage over winter. Black spot and rust may still be evident on later performing varieties. 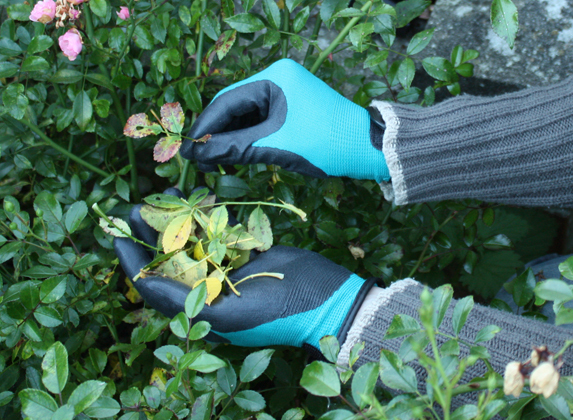 To prevent further spread, pick off all infected leaves from your plants and gather up fallen leaves from around the plant bases. Bin or burn all infected material to prevent contamination of compost heaps and surrounding plants. Once infected foliage has been removed from your plants it is still worth giving a final control spray, despite it being late in the season. Pest and disease sprays applied after the end of the month are unlikely to be effective, so don’t delay. 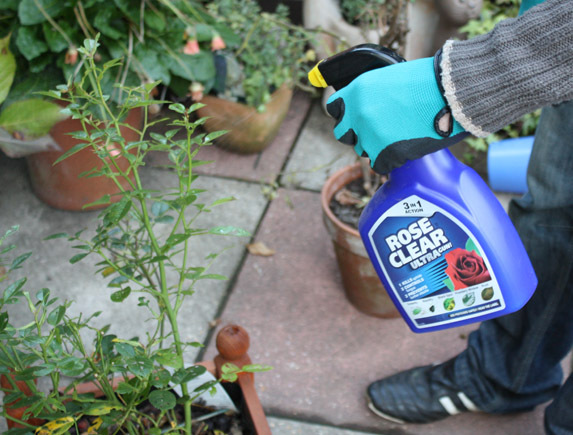 Cover all foliage with spray until it beads on the surface – avoid run off. or so with new soil and manure to avoid a build up of pests and disease. 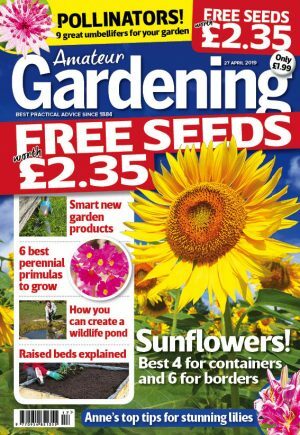 Dig out the top 12-15in (30-38cm), turn over the bottom and add well-rotted manure before filling with fresh soil from another border. 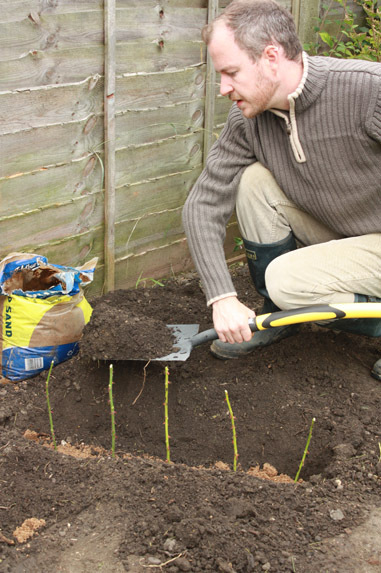 If you are creating a new bed from scratch deep digging is required for a healthy rose display. 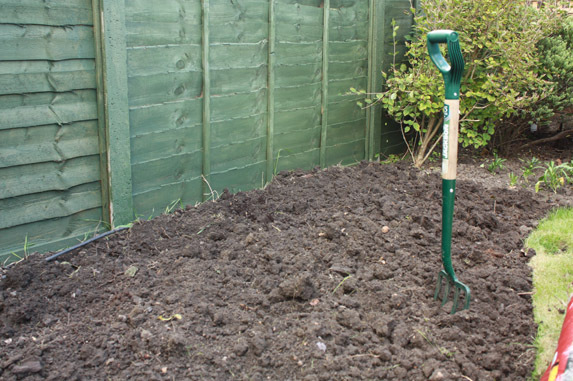 Dig down at least two spade spits and incorporate manure to the mix. There’s still time to take hardwood cuttings of your favourite roses. Take 12in (30cm) lengths of current year stem growth, cutting just above a bud at the top and just below a bud at the bottom. Dig a 5in (12.5cm) trench and lay an inch of sharp sand in the bottom. Set the cuttings at least 2in (5cm) apart. Back fill, firm and water. Cuttings will be ready in a year’s time. For step by step photography go back to AG 24 September p11.